In Hawaii we looked at the prospect again and decided to give it a go. That would mean we would have to go back and catch everyone up on what has happened since we began this journey. We will log these past events by chapters. The first 9 Chapters will be about the past 2 years of our journey, up till we leave Hawaii in the Spring of 2018. These chapters will be sometimes long and filled with a lot of events and information. After that we will be making smaller chapters, and more often. We decided to use a format where we narrate the event after it happens to the camera, so you can see us and our reactions. We decided on this format so it feels like a conversation we are having with our viewers (family and friends, and ourselves when we re-watch them in the future). We are telling you our story how we remember it. Our decision to make these videos is a simple one: To make a living record of this time in our lives. To look back on and remember. To give our children a memory of their youth we wish we had. 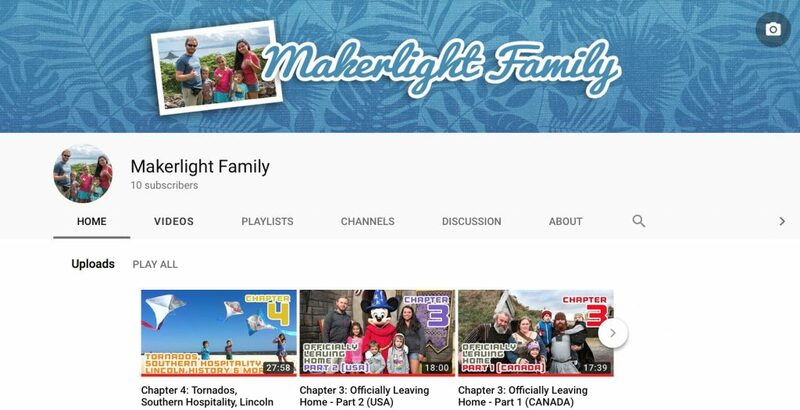 Our channel will also host our past family trips and other adventures, plus fun clips and videos about things we did and made over the years. Feel free to browse and comment and like (or dislike). Also, subscribe to get notified when a new video pops up. Previous post Schwinghammer, Zama & Co.
Next post The Big Island of Hawaii: The Fourth & Final Leg!